– Waves 90-feet high on the Cascadia Subduction Zone! Not sure where that is? It’s basically the Pacific coast from Humboldt, California through Oregon and Washington, to southern British Columbia. 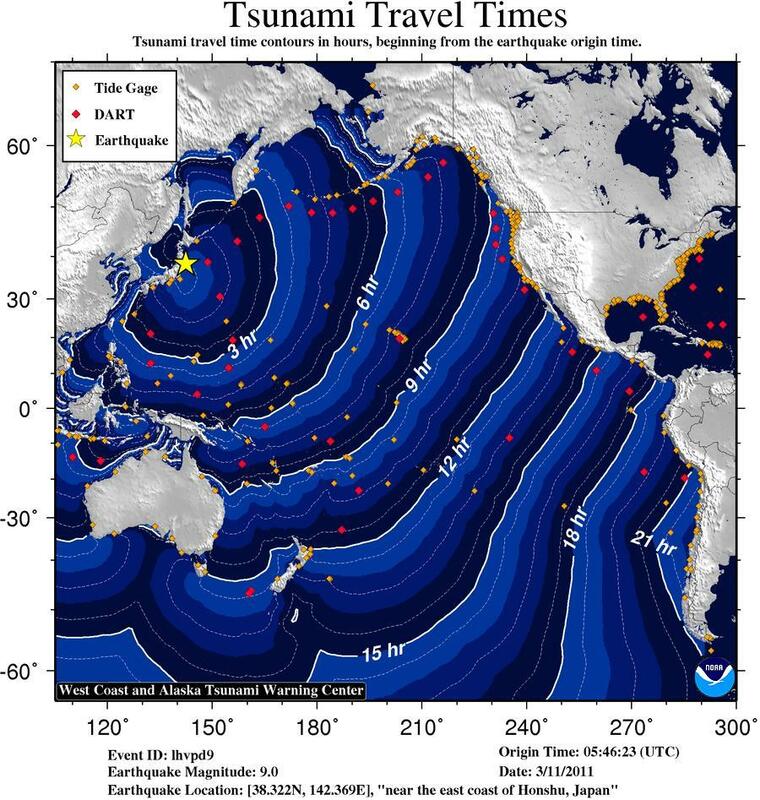 If you’ve been paying attention, you already know it’s not only an earthquake zone, but a major tsunami zone. 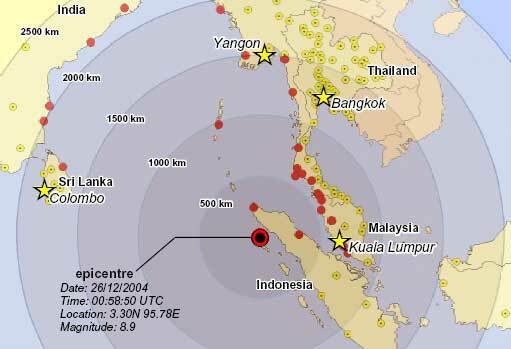 The fault is very similar to the one that ruptured near Sumatra on December 26, 2004. And since then, geologists in the Pacific Northwest are adjusting their hazard maps to allow for the possibility of 60-90 foot waves in some coastal towns. – When will the next catastrophic wave come? Ahh, that’s what everyone wants to know. This week’s news is that it’s been about 600 years between big tsunamis in Sumatra and Thailand. 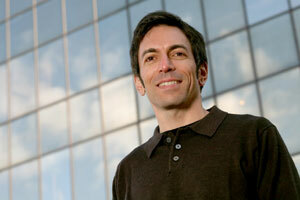 As Sandy Doughton put it in The Seattle Times, that dates it back to the era of Joan of Arc. It’s long enough for the rise and fall of a civilization. You can see the evidence, as it’s beautifully preserved north of Phuket, Thailand. This photo shows the layers of light colored sand from tsunamis, and dark colored soil that builds up in the centuries in between. 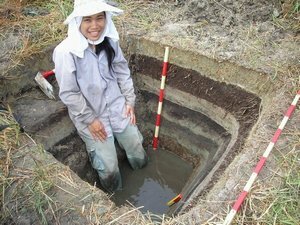 The woman is a Thai scientist, Kruawun Jankaew, who worked with Brian Atwater of the USGS and University of Washington. Along the Pacific coast, we also measure in centuries. The last one hit in January of 1700 (the subject of fantastic sleuthing and science by Atwater and recounted in his book, The Orphan Tsunami of 1700). Going further back is less precise, and it may be anywhere in the range of 300-1,000 years between big tsunamis. We could be due now — or it could be beyond our great-great-grandchildren. The fault-lines don’t follow much of a schedule. But this is wrong. It’s more like someone threw a long log into the pond — and the tsunami waves rippled out primarily in two directions. Instead of a red dot and circles, imagine a long red line, with waves emanating to the left (Sri Lanka) and right (Thailand). And, if you’re still following this, along Washington and Oregon, we should expect something similar, with a long section of the fault rupturing.